Click here for Passport Application form in pdf format. Please note that the total period of validity of a Fiji Passport is ten years from the original date of issue. It is the responsibility of all passport holders to renew their passport 6 months before expiry or make application for a new passport in cases where the total period of validity has expired. Applications for new Fiji Passports are processed by the Immigration Office in Suva, Fiji. The Embassy of Fiji in Tokyo or any of the Fiji Missions abroad will not handle applications for new Fiji Passports. Applications should be sent to the address below by FEDEX to ensure faster and safer delivery of passport and original documents required. You must also enclose a prepaid FEDEX envelope so that the passports and original documents sent to the Immigration Department are returned to the applicant safely. Please read these notes carefully before starting to fill in the application form. The applicant should complete the form in English, in BLOCK CAPITALS using black or blue ink or ballpoint pen or typescript. If the applicant is 16 years and above but is illiterate or unable to complete the form in English or is disabled and cannot write, another person may complete the form. The person helping to fill out the forms should make a Statutory Declaration, stating that he or she had correctly completed the application in question from details supplied to her by the applicant who is illiterate and/or incapable of completing the form. This declaration should be forwarded with the application. Passport application for a child up to the age of 16 is to be completed by the Parent or Legal Guardian. Signature should be in the applicant’s own handwriting. For an illiterate, the left thumbprint should replace the signature, but the print must clearly show the distinguishing lines of the thumb. Smudged or blurred prints are not acceptable. Any Fiji Citizen is entitled to a Passport irrespective of age provided all normal requirements are met. A Witness is required for the declaration (Section 22, 25 & 27). The witness should be the same person for each section. An approved witness shall be a person who is a Notary Public, Member of Parliament, Head or Deputy Head of Government Department, Mayor, Member of any Town council, Township Board of Provincial Council, Magistrate, Barrister and Law Solicitor. 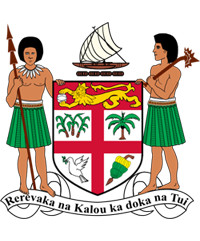 Notary Public, Bank Officer, Justice of the Peace, Minister of Religion, Administrative Officer, Medical or Dental Practitioner, Education Officer, Assistant Education Officer or Head Teacher, Officer or Non-Commissioned Officer at the Fiji Military Forces. If none of the above-mentioned persons is available, the application may be witnessed by any person of good repute. • 2 passport size colored photographs (certified and signed by the same person witnessing the form, or we can do this at the Embassy). Ensure that your signature and thumb print on the application form are kept well within the relevant boxes. Passports are issued by the Immigration Department Head Quarters, Suva, Fiji during office hours. Completed application should reach the Immigration Department not less than 14 days before the date of which the passport is required. A passport is valid for 10 years from the date of issue. iv) For a married woman, attach your marriage certificate. Adoption Papers for adopted children. Deed Poll Paper for change of name. Decree Nisi and Decree Absolute for Divorcees. d) Certification of Alien Registration for applicants living in Japan. **Original Documents will be returned to applicants after sighting. In case of name change, submit legal documents and new birth certificate to reflect the change. No hair band, no sleeveless blouses / tops, no smiling, no shadows at the background, facial features to be clear – hair to be tied back so that the forehead is clear and ears are visible, no big earrings, no nose rings, direct pose to the camera. Neck and bit of shoulders visible, without Glasses, without hat or cap, Head covering worn for shadows covered religious purpose only. Ears and forehead must be visible. Light and plain background with photo centralized.